So after an abnormally nice and hot weekend, April has returned with mid-teens temperature; cool enough to be wearing an outer-layer. 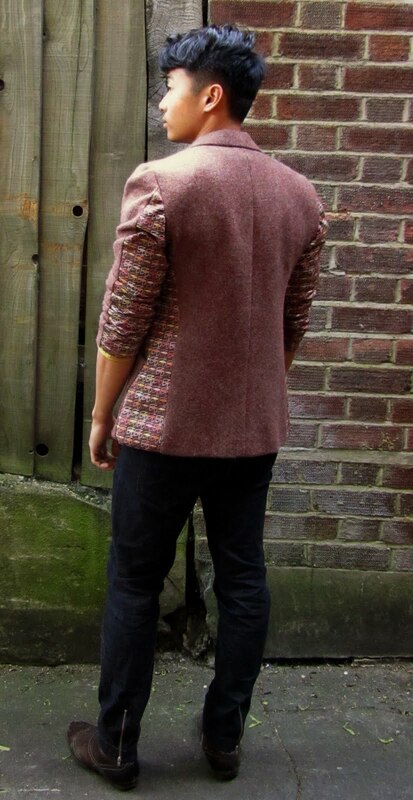 So off I went to London in my Rusty Brown Manx Tweed/Liberty print jacket and my skinny jeans. The only thing that I didn’t make was the T-shirt (and shoes!) but mom got me the T-shirt so I guess style runs in the family. I love it when you create a garment where people stare at it from then front and when they turn to see your back, they are hit with more details at the back. So to say, details at the back is as important as details on the front. Turning their heads thrice is better than twice!